Egypt is bordered by the Mediterranean to the north, Sudan down to the south, Libya in the west and the Red Sea and The Holyland on the eastern side. 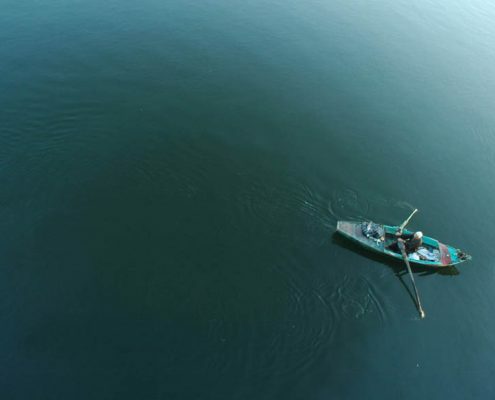 The country is unevenly divided in two by the river Nile. 90% of the country’s population are centred around the fertile plains of the Nile Valley, The Delta and the city of Cairo. The scenery is mainly flat and arid with vegetation cropping up only around the oasis. The winters in Egypt are a pleasant 15 – 20 degrees, while temperatures in the summer may reach 35 or 40 degrees. With virtually no rain throughout the year, Egypt is the ideal year-round holiday location. 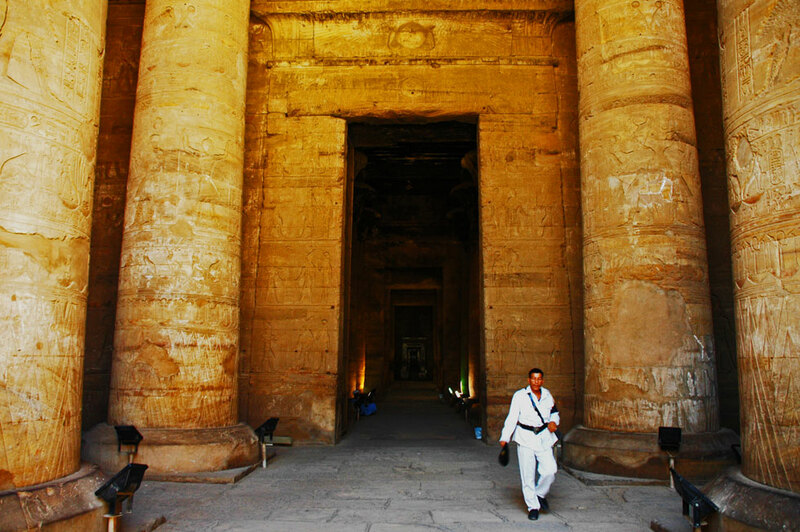 A visit to Egypt is without doubt one of the most unforgettable and worthwhile experiences in the world of travel today. The diversity of interest here is outstanding: river cruises, pyramids, ancient monuments, hectic bazaars, the Aswan Dam and some of the worlds best underwater diving are all here in one country. 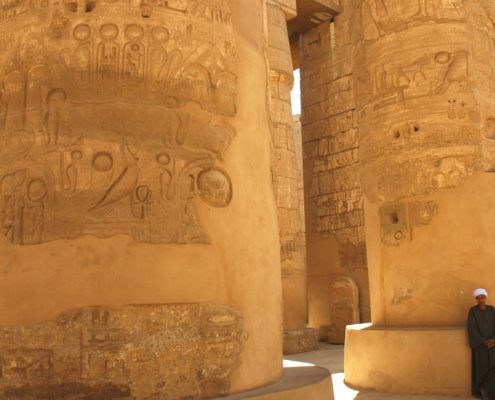 Although a detailed knowledge of Egyptian history and culture is not necessary, a little homework can be very rewarding before embarking on a trip to Egypt; thus enabling you to truly appreciate the majesty of this land and its people. Whilst the ancient history is undoubtedly fascinating, its backdrop is a stunning natural environment – white deserts, towering mountains and a frenzy of underwater life in the Red Sea. On top of all that, Egypt is a lively modern Arab state – from delicious mint tea in traditional coffee houses, to bustling, noisy streets and markets, there are plenty of contemporary treasures to entice you. With 90% of the population Muslim, Islam is a very visible part of daily life, with the call to prayer at sunrise and sunset structuring the day. Egypt’s fascinating 6,000 years of history give visitors a remarkable insight into one of the oldest and best preserved civilisations in the world. 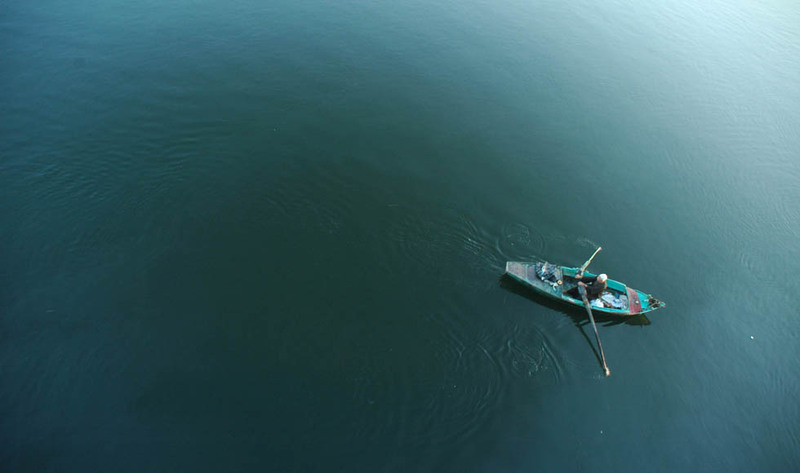 Whilst in Egypt – a sunset sail down the Nile on a Felucca (a traditional wooden boat) can only be described as one of the most mesmerizing trips one can embark on. 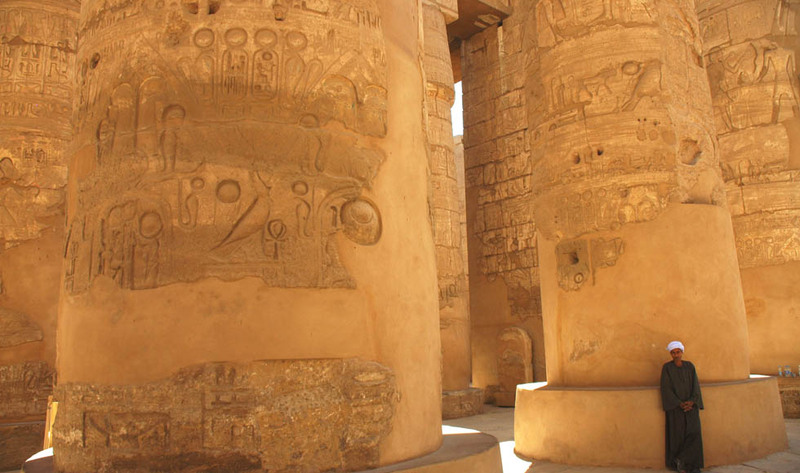 Archaeological marvels in Cairo, Luxor and Aswan such as the Great Pyramids, Temple of Karnak, the Valley of the Kings and Abu Simbel are some of Egypt’s most outstanding attractions. The Red Sea provides some of the most exciting snorkelling and diving experiences in the world. 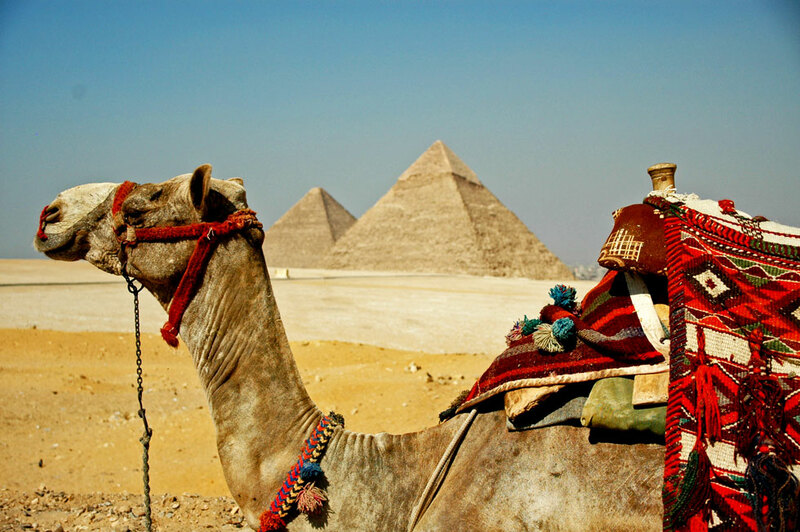 Any visitor to Egypt will undoubtedly spend a 4 or 5 days in the capital, Cairo. It is quite a good idea to start with a visit to the Museum so that you can familiarise yourself with some of the country’s history and culture. The museum also houses the Tutankhamun treasures and one of the largest collections of Pharaonic and Byzantine art. 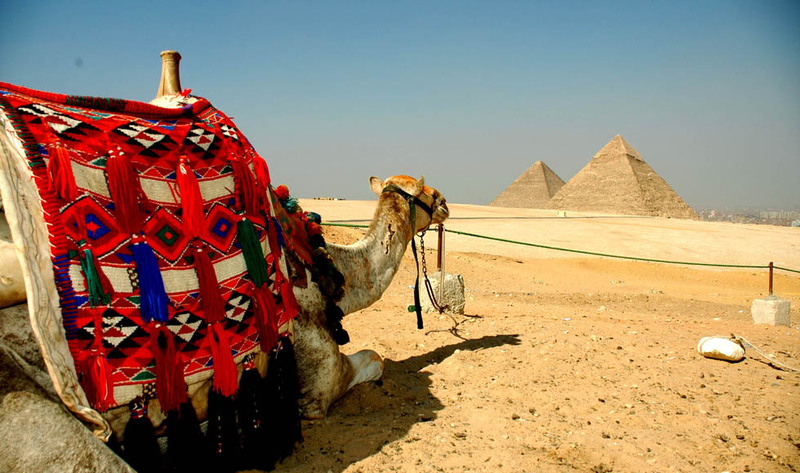 The much visited Pyramids are an obvious must-see, along with the great Sphinx of Giza. Don’t miss the Valley of the Kings on the west bank of the Nile, nor the frenzied camel market at Birqash. Along with Mesopotamia, the Indus Valley and China, Egypt was one of first centres of the civilised world. 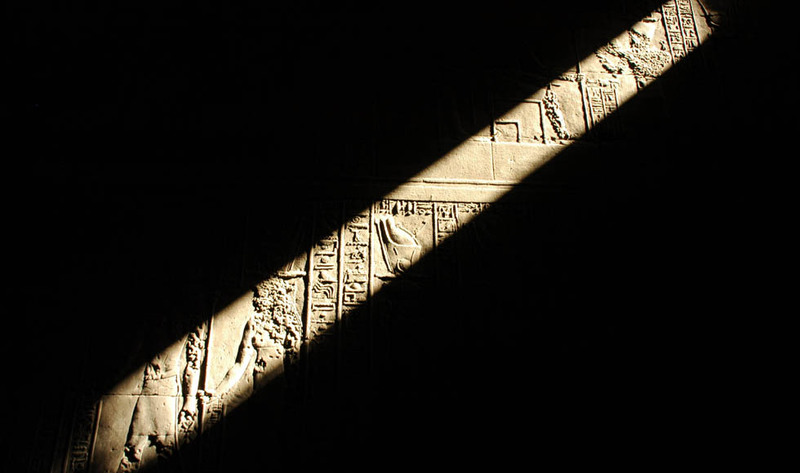 6,000 years of recorded history remain evident in the Egypt of today. Monuments dating back to the earliest pharaohs still stand as lasting testaments to ancient Egyptians’ inventiveness and skill. Egyptian culture has survived wars, invasions, ancient and modern grave robbers and vandals. 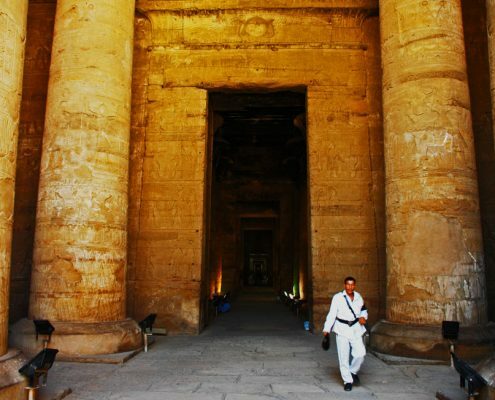 The arid desert has managed to preserve a feast of Egyptian culture for future generations to enjoy, and one can not help feeling only the tip of the iceberg has been unveiled to date. The awesome splendour of Egyptian culture is as strong today as it was in Julius Caesar’s and Napoleon’s days. Visitors from all over the globe will always be drawn towards Egypt as surely as the Nile continues to run through the northern delta into the Mediterranean Sea. Although the many Egyptians who follow the Muslim faith, receive their religious inspiration from the east, it is from the heart of Africa via the River Nile that this dry and arid land has been provided with a lifeline. 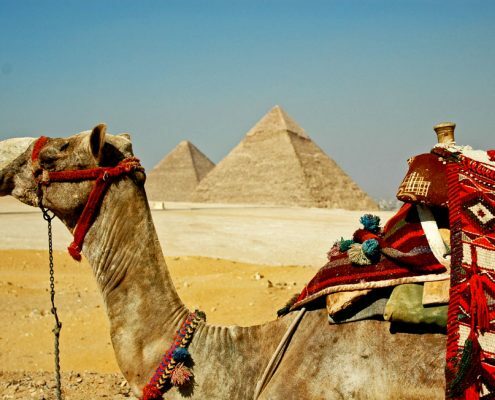 Egypt has been the doorway through which traders, explorers and missionaries have stepped to experience the West, East and South for thousands of years. 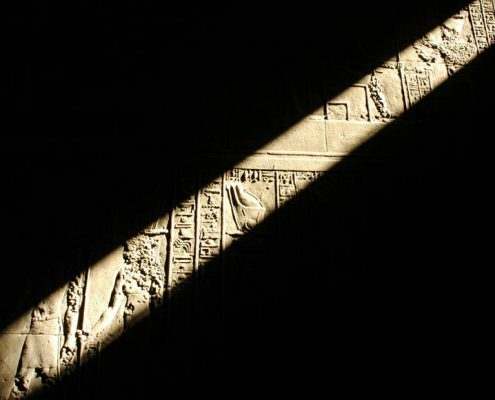 Even today present findings are demonstrating that ancient Egypt was in fact far more heavily connected to the darker part of the continent than previously believed. Frequent trade missions and expeditions took early Egyptians as far south as the rain forests of the Democratic Republic of Congo and westwards to Mali. Though Egypt had long been one of the more politically stable countries in the region, thirty years of authoritarian rule, an erratic economy and rising living costs fanned the flames of social unrest. At the end of January 2011, violent protests broke out in various places across Egypt, centering on Cairo. The country underwent a revolution, ousting President Hosni Mubarak, after almost 30 years in power. On hearing the news that the leader had fled, exuberant celebrations broke out in Tahrir Square. The Egyptian military took control of affairs in the short term, with both the constitution and the parliament of Egypt dissolved. In March 2011 a constitutional referendum was held and Mohamed Morsi from the Muslim Brotherhood was elected president. However many felt he was not representing the people but solely serving the aims of the Muslim Brotherhood In June 2013 there was a popular uprising leading to the end of Morsi’s and the Muslim Brotherhood’s rule. The world waits with baited breath to see what the longer-term consequences of the revolution will be for the country.